I remember the very first time I set foot at the 46th floor of The Plaza office tower to survey the site with Madame H. Then, back in February, the floor panels were not entirely installed yet and there were still construction workers everywhere, each busy doing their own stuff. It was my first time meeting the key people who saw through the growth of ALTITUDE every single day since it was still an empty floor until it's become one of the hottest spots in the Big Durian today. Unlike Singapore, Jakarta's rooftop dining or restaurants located at high altitudes are numbered and of the handful, only a few are memorable. and ALTITUDE is one of the few. Just months since my first visit, ALTITUDE has transformed into an elegant and massive complex of dining establishment, home to 4 awesome places: Salt Grill, En Maru, GAIA and Cloud Lounge. I could continue raving on and on about ALTITUDE, but that would be like repeating to you (like a broken record) that Earth is a planet and that Sun is a star. So you may be wondering has ALTITUDE started serving breakfast? Well, it never has and still isn't, but who knows they will in the future? The breakfast I'm referring to this time is actually the Iftar meal during the Ramadhan month back in late July. I tried not just from one restaurant, but all three, packaged in a wonderful set of 5-course meal and ended it with a refreshing Ketel cocktail. If you're ever at En Maru, you MUST (must!) try the Foie Gras Chawanmushi. 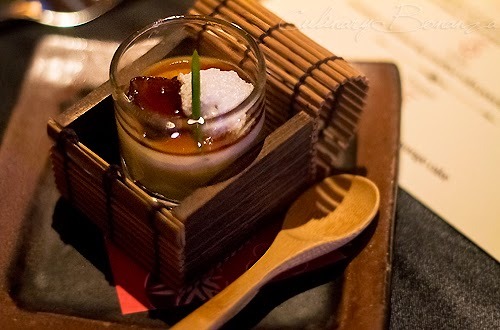 The silky chawanmushi, topped with creamy foie gras was a treat fit for the king. 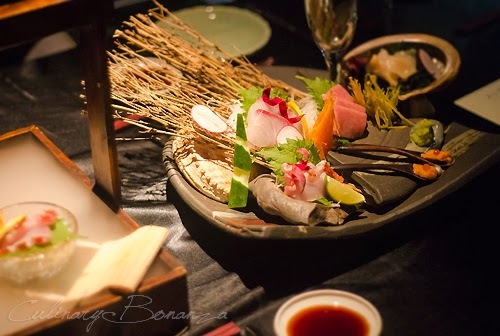 Another signature is the Assorted 5 Kinds of Sashimi, which, depending on the chef', could come served in different appearances, but each containing exactly the same combination and quantity. 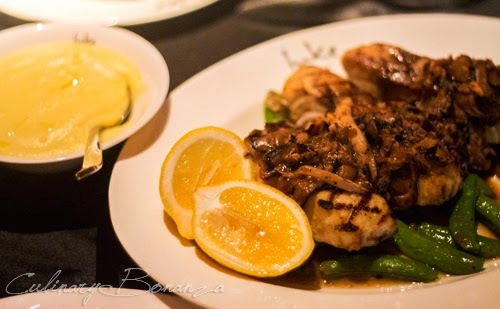 Grilled Barramundi with stir fry of crab meat and shiitake mushrooms, charsiu sauce, sugar peas and confit eschalot. Served on the sides were Heirloom Tomato Salad with burrata cheese and basil red wine dressing, and Mashed Potato with truffle oil, which was so creamy and addictive! 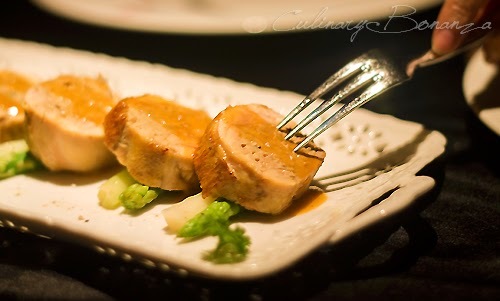 Boneless Chicken Leg Stuffed with Porcini Mushroom and served with white asparagus. I couldn't stop digging in the asparagus, simply delicious. 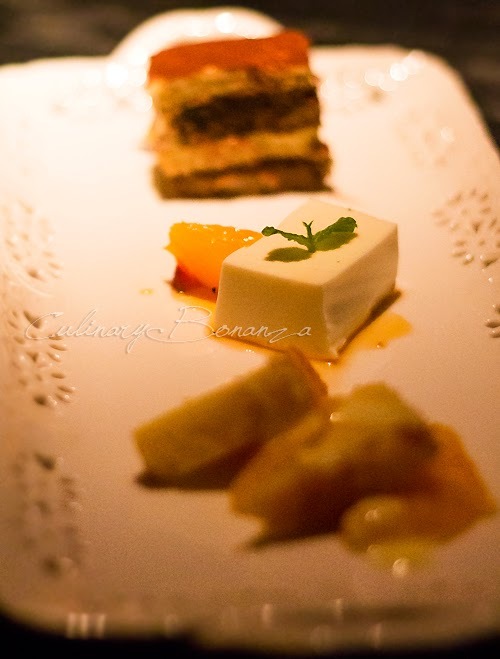 Triple Dessert Platter: Pannacotta, Tiramisu & Orange Cake. If a sweet tooth tells you that a dessert is great, would you believe it, or would you dismiss that statement because you think that person would give positive comment to anything sweet? Well, anyway, this triple dessert is the best way to end the meal. I WOULD Queue An Hour Again for This!